Anna Le Hair joined us as our accompanist in spring 2007. She started playing the piano as soon as she could reach the keys. She gained an honours degree in music at Edinburgh University where she studied piano with Colin Kingsley, and harmony with Kenneth Leighton. Her postgraduate studies were at the Royal College of Music, where her professors included Peter Element and Hubert Dawkes. While there, she won a scholarship from the Austrian Institute to spend a summer studying piano accompaniment at the Mozarteum in Salzburg. Since then, she has enjoyed a busy and varied career as performer and teacher. She has undertaken engagements, both as solo performer and as chamber musician and accompanist, in many venues in London, including the Queen Elizabeth Hall, and around Britain. In 2014 she gave a series of recitals in New Zealand with the violinist Arwen Newband. In the last few years she has given performances of five piano concertos and many chamber works of the 19th and 20th centuries. Anna has performed at the Edinburgh Fringe Festival, the Costa Barcelona Music Festival, the Music in the Mountains Festival in Andalucia, and at festivals in Porec (Croatia) and Buxton, where she was nominated for the title of ‘Performer of the Fringe’. Anna is a Senior House Pianist at AIMS International Summer School in Eastbourne, where she has repetiteured many opera scenes. She also works with choirs and opera groups including Polymnia and City Chamber Choir, the Aeolian Singers in Hemel Hempstead (where she is assistant conductor), and of course the Chiltern Choir. She is also a regular accompanist at Jackdaws Educational Trust in Somerset, where she has worked with the tenor Ian Partridge and the mezzo Sarah Walker. Anna has also undertaken such diverse activities as playing background music in London hotels and restaurants, and touring the UK and Channel Islands with the Lewis London Ballet. 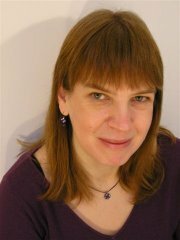 Anna has a thriving piano teaching practice in Tring and also teaches piano and accompanies at St Albans School. She is much in demand as an accompanist for singers and instrumentalists, and is an examiner for ABRSM. Details of concerts and other activities can be found on her website, www.annalehair.co.uk.